60 years ago today, the Dutch dioceses of Groningen and Rotterdam were officially established. This was the most recent major change in the composition of the Dutch Church province (in 2005 and 2008 respectively, Groningen and Haarlem changed their names to Groningen-Leeuwarden and Haarlem-Amsterdam, but those changes did not include any territorial modifications). In addition to the establishment of two new dioceses, which brought the total number to seven, parts of dioceses were also exchanged: Haarlem received some territory from Utrecht, and Breda was expanded with areas previously belonging to Haarlem and ‘s-Hertogenbosch. ^Maps showing the location of the Dioceses of Rotterdam and Groningen-Leeuwarden. Rotterdam was formed out of territory belonging to Haarlem, located to the north and south, while Groningen was taken from Utrecht to its south. The creation of Rotterdam and Groningen was initiated by Pope Pius XII, who entrusted the practical matters to the Internuncio to the Netherlands, Archbishop Paolo Giobbe, who went to work immediately and issued a decree on the 25th of January of the following year, coming into effect a week later, on 2 February. The Apostolic Letter commanding the changes was titled Dioecesium Imutationes, Changes in Dioceses, a rather unimaginative title which describes the purpose rather well. There is a PDF file of a Dutch translation of this Letter available here. Below I present an English translation of the relevant text describing the new dioceses, as well as the other territorial changes. It is a translation of the Dutch translation, which was written in rather official words which may even seem archaic to modern ears. But my translation will hopefully get the message across. “From the territory of the Archdiocese of Utrecht we separate that part containing those areas which are commonly called Groningen, Friesland and Drente, plus the Noordoostpolder, and we will make that territory a new diocese which we will name the Diocese of Groningen, after the city of Groningen, which will be the head and seat of the new diocese. In this city the bishop will reside and have his seat, namely in the church of the Holy Bishop and Confessor Martin, which we will therefore elevate to the dignity of cathedral. Additionally, we seperate from the Diocese of Haarlem that province called Zuid-Holland, and make it another diocese, namely Rotterdam, to be called such after the city of the same name. This renowned city, which we will make the residence of this new diocese, where the episcopal seat will be established by the bishop in the church of the Holy Martyr Lawrence and the Holy Confessor Ignatius, self-evidently with the rights and dignities befitting a cathedral. Lastly, we separate from the Archdiocese of Utrecht that part, which in Dutch is called the Gooiland and add it for all perpetuity to the Diocese of Haarlem. The reasons for the creation of the new dioceses are given as the growth in number and activities of the Catholics in the Netherlands, as well as the perceived need to redistribute the means and possibilities according to the needs present, to safeguard the divine truth and to promote the social environment. The size of the dioceses was also an obstacle for the bishops to conduct regular visitations to all parts of their sees. Haarlem stretched all along the western coast of the country, and by detaching Rotterdam and adding Zeeland to Breda it was roughly halved in size. The same is true for Utrecht, which stretched from the great rivers in the south to the islands of the northern coasts, and from the major cities in the west to the rural areas along the German border. The creation of the Diocese of Groningen meant that it now stretched only half as far north. In Rotterdam the choice fell on the dean of Leyden, Martien Antoon Jansen (pictured at right in a photo from around 1960). He was consecrated on 8 May by Bishop Johannes Huibers, the bishop of Haarlem. Since 1956, Groningen has had four bishops and Rotterdam five. Both have given an archbishop and cardinal to the Dutch Church: Wim Eijk (bishop of Groningen from 1999 to 2007, cardinal since 2012) and Adrianus Simonis (bishop of Rotterdam from 1970 to 1983, cardinal since 1985). 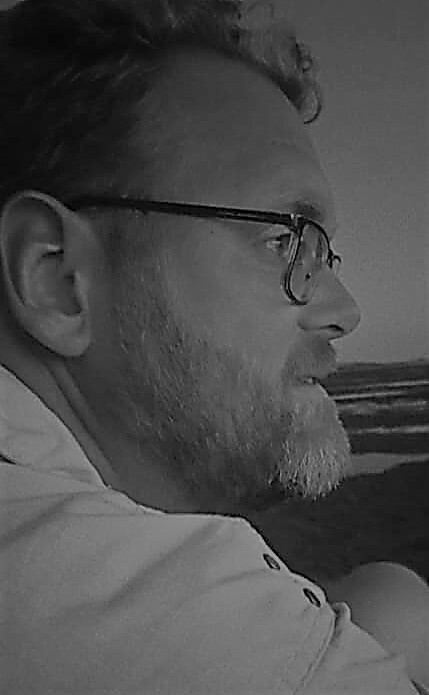 Pieter Antoon Nierman, bishop from 1956 to 1969. Johann Bernard Wilhelm Maria Möller, bishop from 1969 to 1999. Willem Jacobus Eijk, bishop from 1999 to 2007. 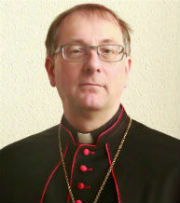 Gerard Johannes Nicolaas de Korte, bishop since 2007. Martien Antoon Jansen, bishop from 1956 to 1970. Adrianus Johannes Simonis, bishop from 1970 to 1983. Ronald Philippe Bär, bishop from 1983 to 1993. Adrianus Herman van Luyn, bisschop from 1993 to 2011. 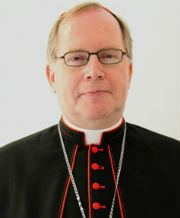 Johannes Harmannes Jozefus van den Hende, bishop since 2011. In their 60 years of existence, both dioceses have struggled with the challenge of being Catholic in a secular world. Rotterdam became even more urbanised and multicultural, while Groningen had its own blend of Protestantism, atheism and even communism, with a few Catholic ‘islands’. For the northern diocese the course of choice was ecumenism and social activism, making the Church visible in society, while trying to maintain the Catholic identity where it could be found. Church attendance, while low like in the Netherlands as whole, remains the highest among the Dutch dioceses. The diocese will celebrate the anniversary today, with a Mass offered by the bishop at the cathedral, followed by a reception. The Diocese of Rotterdam also has a taste of Groningen, as its current bishop hails from that province and was vicar general of Groningen-Leeuwarden before he became a bishop (first of Breda and in 2011 of Rotterdam). 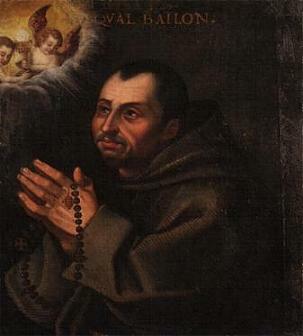 His predecessor, Bishop van Luyn, was also born in Groningen. Ecumenism and an international outlook have marked the diocese, as well as its proximity to the world of politics. The royal family lives within its boundaries, parliament is located there, as are many diplomatic missions, including that of the Holy See in the form of Apostolic Nuncio, Archbishop Aldo Cavalli. The 60th birthday of the diocese will be marked on 6 February, with a Mass at the cathedral.